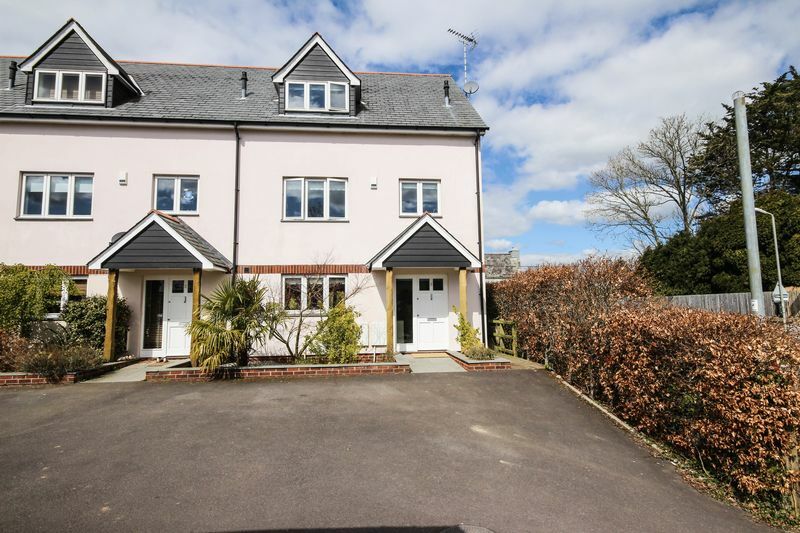 Built to high specification is this large three storey modern house situated a short walk from the town centre. 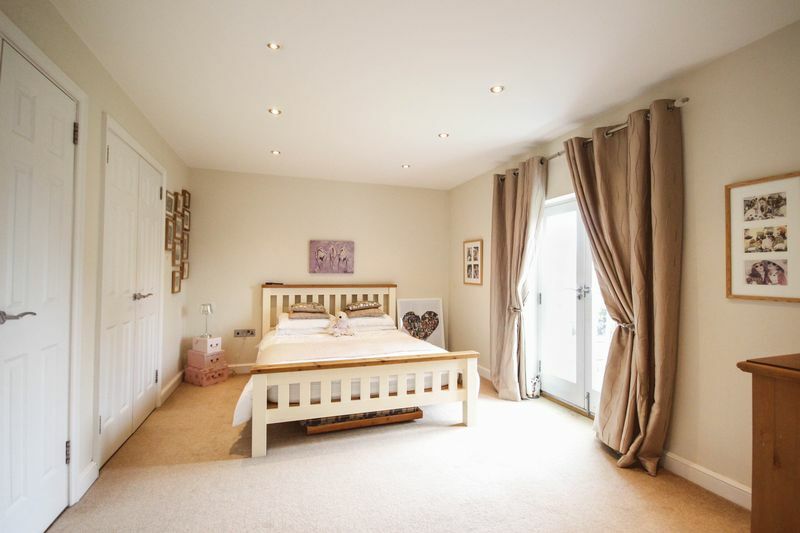 There are four bedrooms, 2 enjoying en-suite shower rooms. 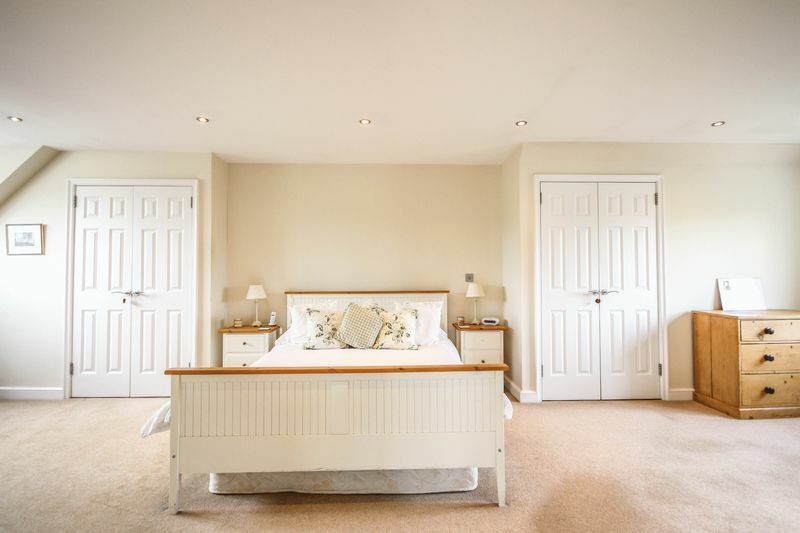 The master bedroom is a real feature spanning an impressive 28ft! 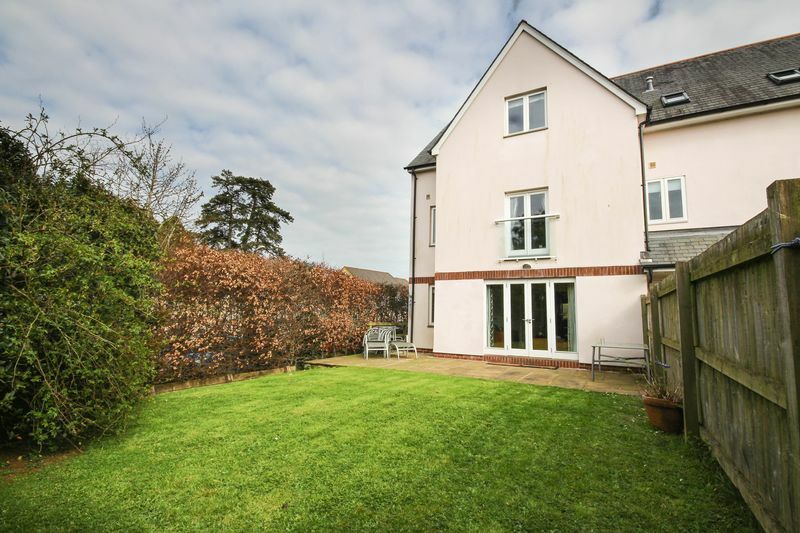 The property is predominantly heated by under floor heating with digital thermostats allowing mixed temperatures in different parts of the property. 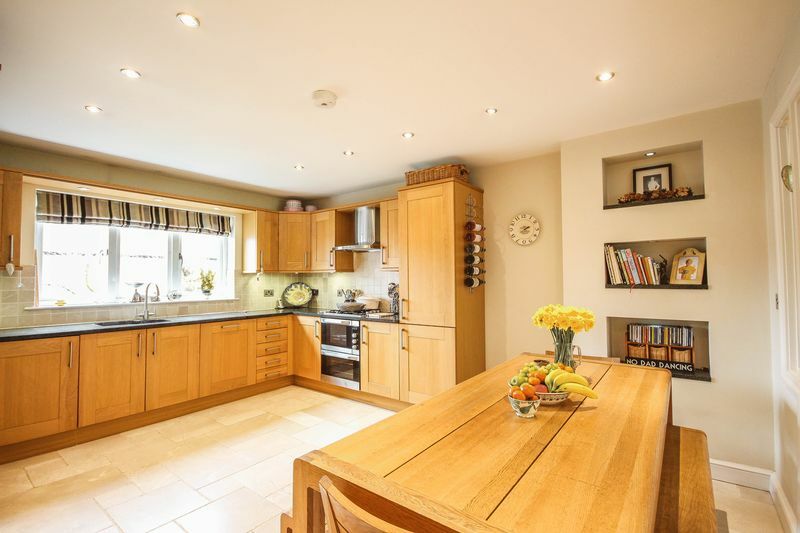 A spacious and well equipped kitchen/diner with integrated appliances and oak fronted units with granite work surfaces. Adding to the exceptional finish and quality of this home are the satin chrome electric switches and socket plates, spotlight lighting along with quality tiles and oak flooring. 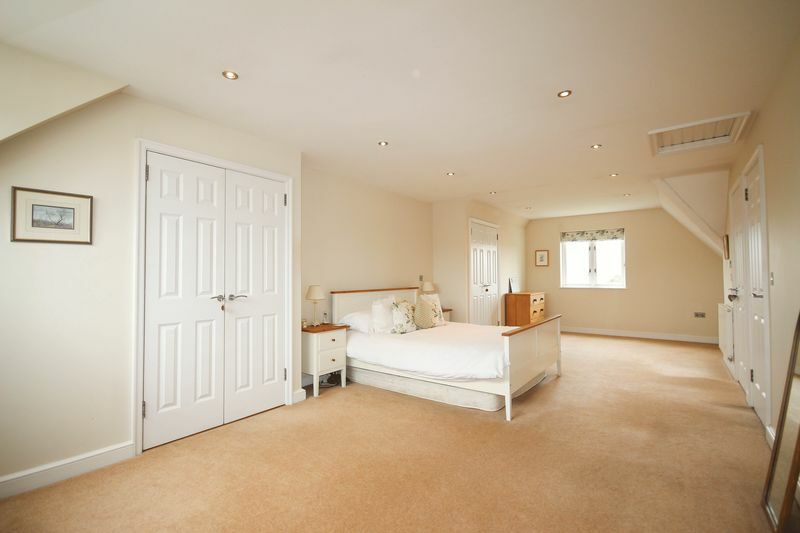 4 bedrooms (2 en-suite) 28ft long master bedroom! 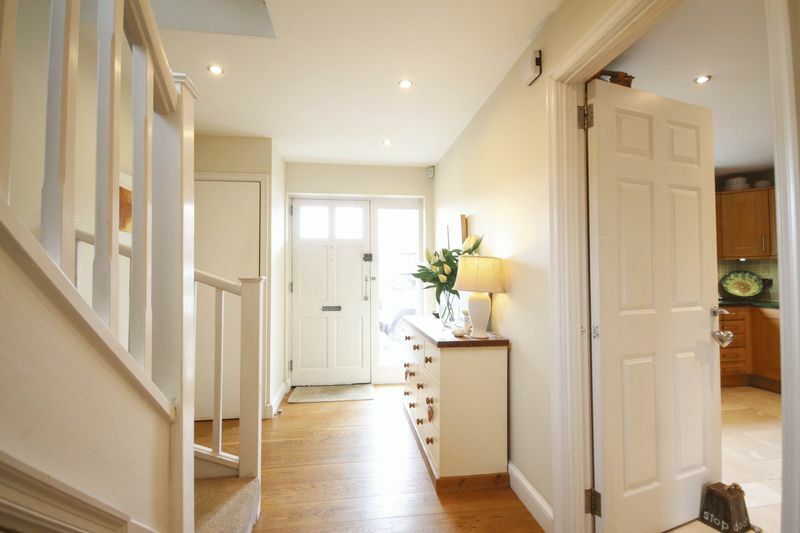 You enter the property into a wide and welcoming entrance hall with two very useful storage cupboards and a downstairs cloakroom. The kitchen is a large room which incorporates a dining area with a window to the front and double doors into the living room. 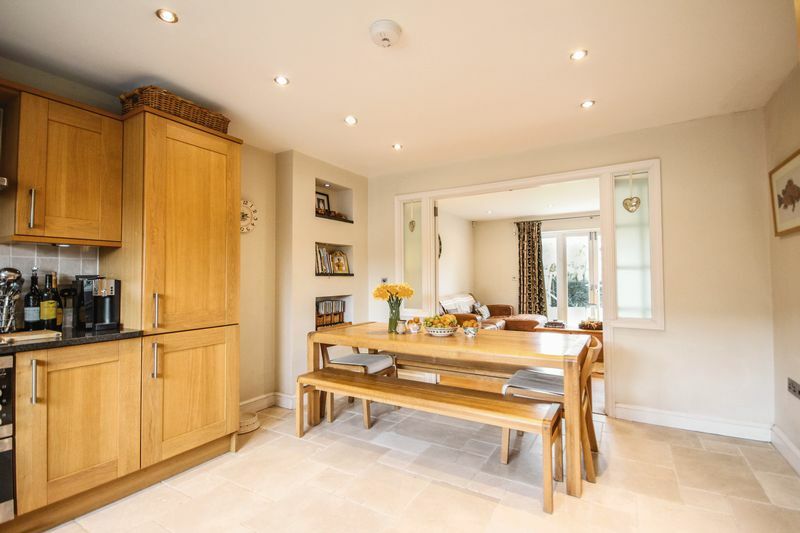 The standard of the build quality is reflected in the kitchen which is fully fitted with a good range of oak fronted wall and base units with granite work surfaces. There are granite display shelves which make a lovely feature to the room! Natural stone floor tiles and splashbacks. 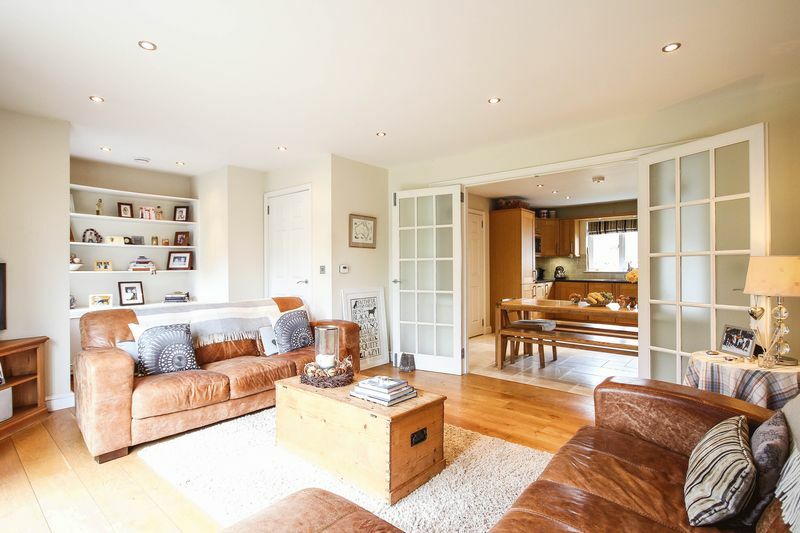 The living room is another generous room with oak flooring, double doors and further glazed panels to the garden - allowing in a wealth of natural light! There is a useful study area also. From the entrance hall, stairs rise to the first floor landing. Stairs rise to the second floor which holds the master bedroom which is an astonishing 28ft! 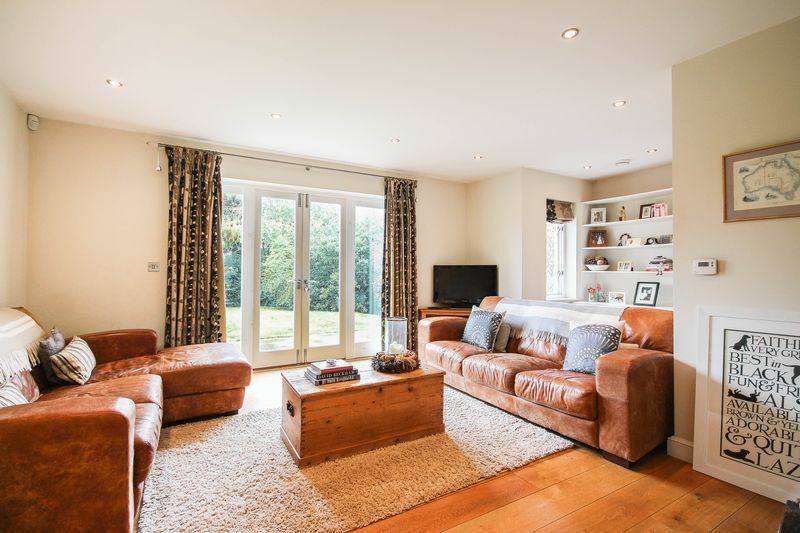 This room also benefits from a dual aspect, enjoying views of the surrounding woodland to the front and far-reaching views to Haytor and Dartmoor to the rear. 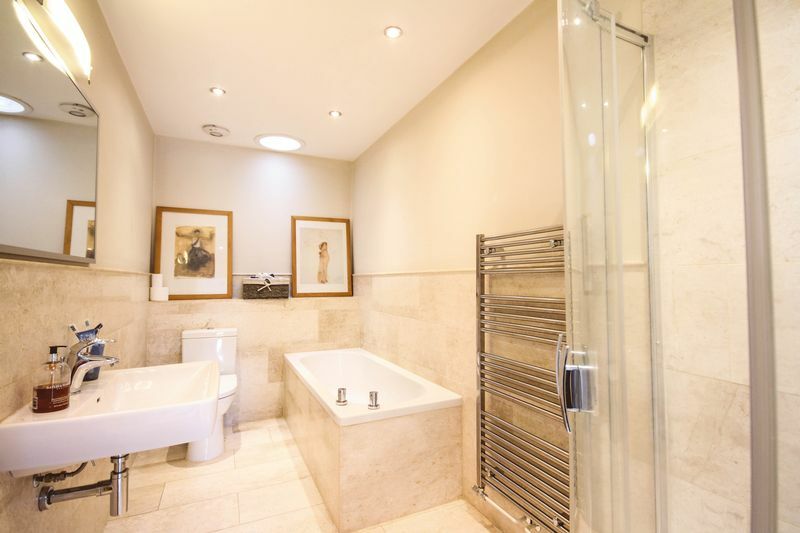 Accompanied by an en-suite shower room and two large 'his and hers' built in wardrobes. 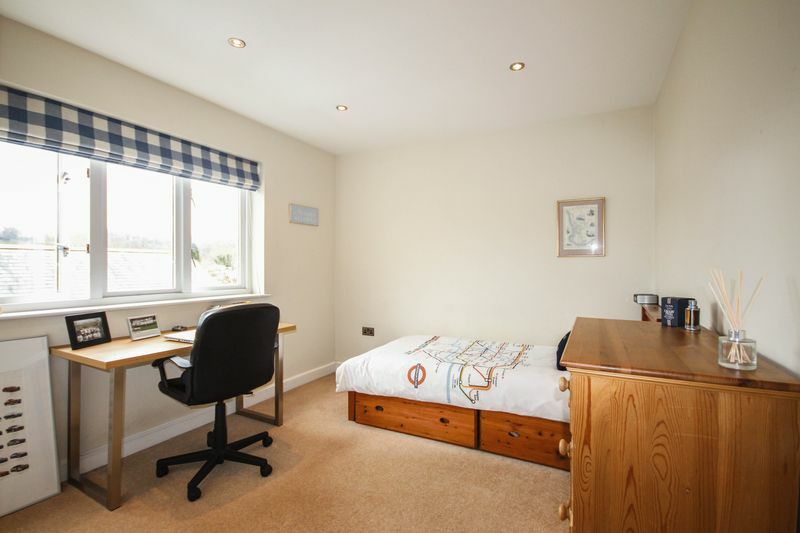 There is also a useful drying area and a linen cupboard off of the main bedroom. Bedrooms two, three and four and the family bathroom are situated on the first floor. 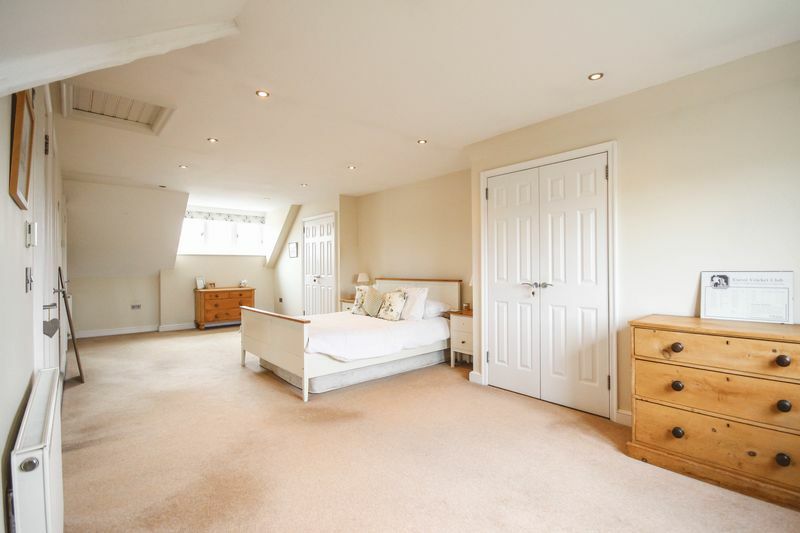 Bedroom two is again a large double room with a Juliet balcony taking in views of the rear garden. Boasting an en-suite shower room and built in wardrobes. Bedroom three again is double in size and also features built in wardrobes. Bedroom four is a single bedroom which the current owners use as a study. The family bathroom holds a four-piece suite comprising bath, separate shower cubicle, WC and wash hand basin. There is a sun tunnel and extractor fan (both en-suites and the cloakroom also include an extractor fan). The rear garden is level, private and enclosed by timber fencing and hedging. An ideal family garden, laid to lawn with paved patio enjoying the sun in the afternoon and early evening. There is parking to the side of garage and to the front of the house. The garage benefits from light and power along with an apex storage area over with an electric up and over door.